Car-Tel Communications: Apps and Gadgets to Make your Photos look Great! Yesterday, I took a photo of what I thought to be a beautiful scene where the sun was setting behind an island in Fort Pond Bay, New York. My phone and I obviously have a different view of beauty because what my eye perceived as an array of bright golds, deep reds, and sky blues, my phone mistook for dull colors with a too bright sun blowing out the middle of the picture. Fortunately, here at Car-tel Communications we are phone camera fanatics. We've tried all sorts of apps and gadgets to turn our blurry dull photos into the phone camera equivalent of a Van Gogh. Below you will find exactly what you need to not only edit your pictures, but also order photo-prints from your phone, take 3D photos, and create seamless panoramas. Description: Photosynth is an app that allows you to create a full photo 360 experience and share with others. You are able to create albums, follow other Photosynth users, and are able to comment, like and share others photos. See the world through others eyes. How to get started: First download the app from the app store. Once Photosynth is downloaded open the app and login with your Microsoft account. If you don’t have one you are able to create on directly through the app, you then verify the account via email. Once the account has been created and verified you are ready to create a username, be creative the world can see this! You’re then ready to begin to capture the world around you and share it for everyone else to see. This app earned the 4.5 because of its simplicity and what you’re able to view. The set up took five minutes and I was able to immediately start taking photos. The app layout is easy to navigate and there are a good amount of search results that appear when you search for a specific type of photo. The only downfall is the app isn’t used by any of my friends so I am viewing photos strictly from other Photosynth users. Description: Magisto is an app that allows you to select photos and video clips from your album and play them to music. The app then creates the video you then have the ability to share the video with through social media, email, text message or on your time line. Magisto also gives you the ability to record a video directly through the app. You are also able to explore other Magisto user video to get inspired to create more of your own. How to get started: Download the app from the app store. Once downloaded open up the app and create a login you can use an existing login, Facebook or an email address. Once the account is created you simply give the app access to your album and select the photos you want to see in your new Magisto video. I gave Magisto a 3.5 for a few reasons. First I love the creativity that that app offers. It allows you to make videos that are special to you and allows you to share them with others. The ease of the app is great selecting the photos and the music. I would however recommend you try the full version of the app. This allows you more storage space for your videos and allows you to make longer videos rather than the clips that you make with the free version. It can get a little expensive if you aren’t a frequent user at $4.99 a month or $19.99 a year. With a premium subscription ($4.99 a month or $19.99 a year) you can create longer movies, have unlimited cloud storage for all of your movies, and upload up to 30 clips & pictures for your movies. Creates the montage in time with the music and allows videos to play. Description: Shutterfly is an app that allows you to order photo-prints, mountable photos, photo-mugs, and more all from the photos you have on your phone. It’s simple and easy to use, ordering is a breeze and prices are cheap. How to get Started: Download the app from the app-store, open it and allow it a few seconds to access the pictures stored in your phone. After that, simply explore the app to find the perfect photo-gift. This app is awesome for those of us who don’t remember anyone’s birthday until the week of. You can quickly find old photos on your phone and order a personalized gift in no time. Shutterfly offers everything from personalized phone and laptop cases to keychains, photo-coasters, and ceramic ornaments. Description: Diptic is a photo collage app. It allows you to stitch photos together into murals that you can then post to social media. How to get started: First download Diptic from the Google Play or iOS App Store. Open the app and select a collage layout you would like to use. With that selected, you can tap each window to add a photo from your camera roll. Then, adjust the width, angle, and pattern of borders between the images, save, and upoad! Diptic is about as close to flawless a collage app as you can find. Its interface is simple, but deep. Its menus are very easy to understand. And it maintains the resolution of your photos when you save them. Easily create collages to upload to almost any social media platform directly. Choose your resolution to save your collage with. Automatically creates a square collage for instagram. 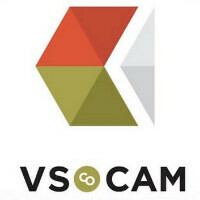 Description: Vsco Cam is a camera replacement app. It allows users to take photos while manipulating a variety of variables during shooting, as well as edit photos afterward using the simple interface. How to get started: First download VSCO Cam from the App Store. Open the app and allow access to your Camera and Camera Roll. Once you have taken a photo, you can choose to edit it further, or upload it to almost any social media platform. I give this app a 4/5 because it offers an heretofore unseen level of customization and control over your iPhone’s camera. The point loss, however comes from the sometimes obtuse interface, especially to those who have never worked with or edited photos. Adjust where your camera focuses and automatically draws exposure value independent of one another. Use Various filters and editing techniques to customize your image and ready it for social media. Once you have collected all of your gorgeous photos, here is where they should go! Description: The Nixplay Cloud Frame is the top of the line Wi-Fi capable digital photo-frame. It has its own email address, so you and family members can send grandma photos and they automatically appear on the frame’s photo-roll. It comes with 20Gbs of free online photo storage, which amounts to over 4000 HD photos! You can even play photo-albums directly from facebook, Instagram, dropbox, and Flicker accounts. Getting Started: The Nixplay Cloud Frame comes with a quick start guide that is very simple and easy to use. By completing the 10-step quick start guide, you will have set up the photo-frame as well as its online account at nixplay.com. After that, the Welcome! page has video tutorials that teach you how to use both the email and social media capabilities. This digital photo-frame is the best frame I have ever come in contact with. It has the best viewing angle, meaning that the image isn’t distorted and the colors are crisp when viewing the photos at any almost any angle. The only reason this frame does not have a 5/5 rating is because the frame’s “Rotate & Save” button doesn’t really work and some vertical photos can only be altered online. This issue is soon to be resolved, according to online forums, and the photo-frame will have a perfect rating from me after that. · Best picture quality and best viewing angle.